Where there is industry, there must also be means of transport. 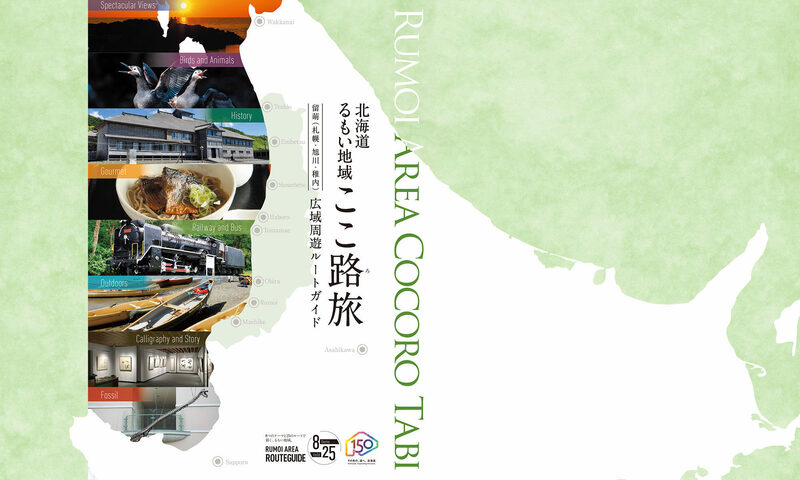 Railroads were extended through Rumoi sub-prefecture in conjunction with growing fisheries and coal mining industries. From the Meiji era to Showa, trains carried coal, various goods and passengers along this coast on the Sea of Japan. The remains of the railroads can be seen from buses which follow the same routes the trains did in the past. Here we will introduce railway routes which were the main mode of transportation in the Showa Era, and the highways and buses which eventually replaced them. The first railroads in Rumoi were opened in year 43 of the Meiji era (1910). The stretch from Fukagawa to Rumoi was completed in order to convey coal and lumber to the Rumoi harbor for export, and to transport local fisheries products from Rumoi inland. Later, in year 10 of the Taisho era (1921), the railway from Rumoi to Mashike was opened, which completed this route. In year 33 of Showa (1958) the railway which was being extended north from Rumoi Station connected with the Teshio line which was being extended southward from Haboro. The line name was then changed to the “Haboro line”. From the beginning of Showa (mid 1920s) more railroads were put down to connect the coal mines which were opening in each region of the sub-prefecture. The Rumoi Harbor Railroad, Haboro Mine Railroad, Teshio Mine Railroad, and the Houhei Mine Railroad were completed in quick succession. Passenger cars joined the coal-laden cars which ran on the Rumoi and Haboro lines. Over the years most of the lines have been closed and only the Rumoi main line remains active today. Buses have replaced trains as the main means of public transportation, but the railway tunnels and bridges can still be seen from the highway.